Research has shown that contaminants in the air can flourish in the cleanest of work places. These impurities can be the key element in the aggravation of asthma, bronchitis, headaches, allergies or other breathing problems. In the search for the source of contaminants, the central air conditioning system (heating and cooling) has been identified as one of the prime sources. It is the perfect breeding ground for micro-organisms (such as the dust mite) and harmful, unpleasant odours. Recirculated air, kept at a steady temperature, is acceptable to many bacteria and fungi. 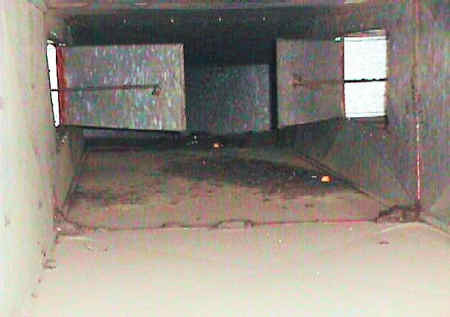 Dirt and debris in the duct create odours and provide nutrients, allowing contamination to occur. 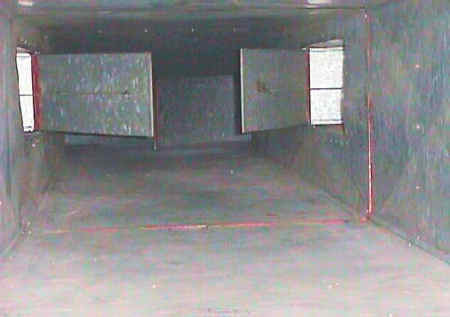 Impurities collect in the air system and are carried continuously through the building. Since most of these contaminations are microscopic, filters cannot be relied upon to remove them. Humidity within the recirculating system turns air ducts into a source of musty odour. Attempts to thoroughly clean a room, even with powerful disinfectants and air sprays are quickly defeated as the recirculating air systems bring a new batch of contaminants through the air ducts into the room. This microscopic organism clings to dust particles, secreting a protein that is highly irritating to human skin and the lining of the lungs. The mite hides out in ductwork and office furnishings (drapes, carpets, etc.) and is carried throughout the building by the central air system. Thorough air duct cleaning will substantially reduce odours and irritants caused by dust mites. Are air impurities a problem in your environment? Even though most air impurities are microscopic, some signs of air contaminants can be easily detected. 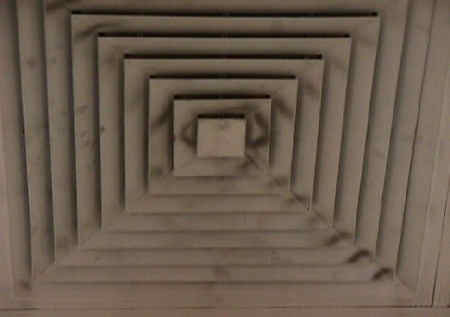 Look for darkened areas around air vents and ceiling registers where contaminants have collected. Is absenteeism due to respiratory tract irritation, allergies or other breathing difficulties affecting your staff? Does the air in your workplace smell fresh? Take a good sniff of drapes, carpets and other soft furnishings in your office. If you smell dust or mustiness, our air duct cleaning process will help. Samples of before and after photos can be seen below. As you can see they provide excellent feedback and conclusive evidence of the job performed. Don't forgot that online reporting is available in a client-only access area. Our service report can be completed on site giving you the most up to date information about the condition of your air conditioning system/s. Upon request a Certificate of Compliance will be sent directly to you or made available in our new website client only access area. Along with your invoice, these Certificates are a vital record of the work you have requested to be carried out on your air conditioning system.